Please join us in listening to Ben Malcolmson’s incredible testimony on Monday, May 20! As an undergrad student journalist - and having not played football since the 5th grade - Ben tried out for the USC football team to write a humorous feature article about walk-ons. Miraculously, he landed a roster spot as a wide receiver on the No. 1-ranked Trojans. Ben was both thrilled and curious, sensing a divinely inspired reason. The journey that followed would batter his body, test his perseverance, and break his heart. 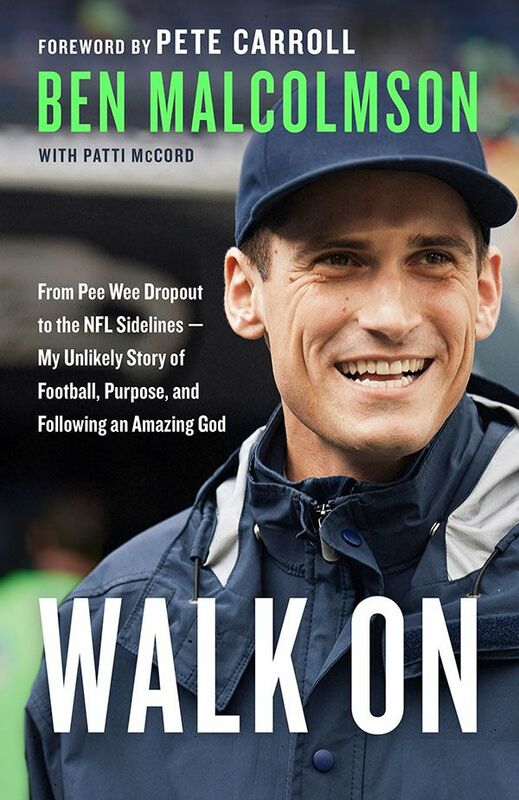 Ben’s inspiring story of hope will encourage you to new heights, stir up your sense of purpose, and leave you standing in awe of an utterly amazing God. All are welcome, and no RSVP is necessary. Reception and book signing to follow.